1) The locking kits of the spring pin were processed by the heat treatment,which strength the body and extend the service life. 2) Pin structure improved,solved the problem of wings dropped off which cause by spring pin. 1.When drilling starts,the wing system drives the casing shoe and casing tube down. 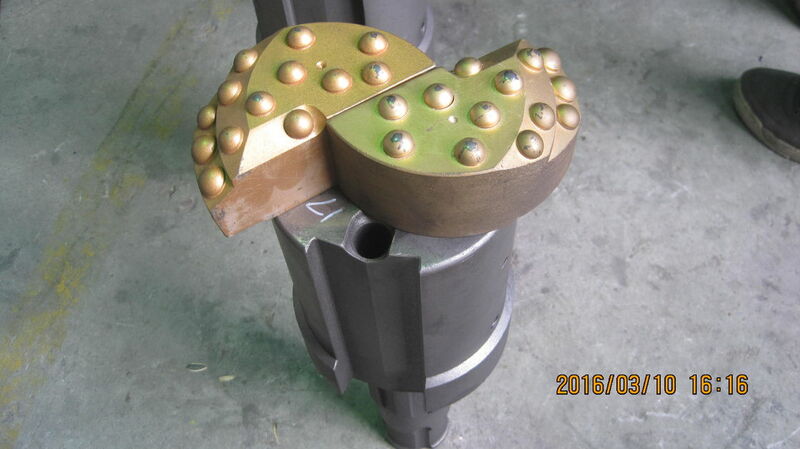 2.When the drilling in overburden formation is finished,revise the rotation and pull the drill rod,Hammer,wing system out from the casing tube. 4.Using the normal drilling tools to drill and achieve to the desired depth. It is suitable for drilling water wells,geothermal wells, short micropiles medium mini-type grouting hole of building, dam and harbor project.